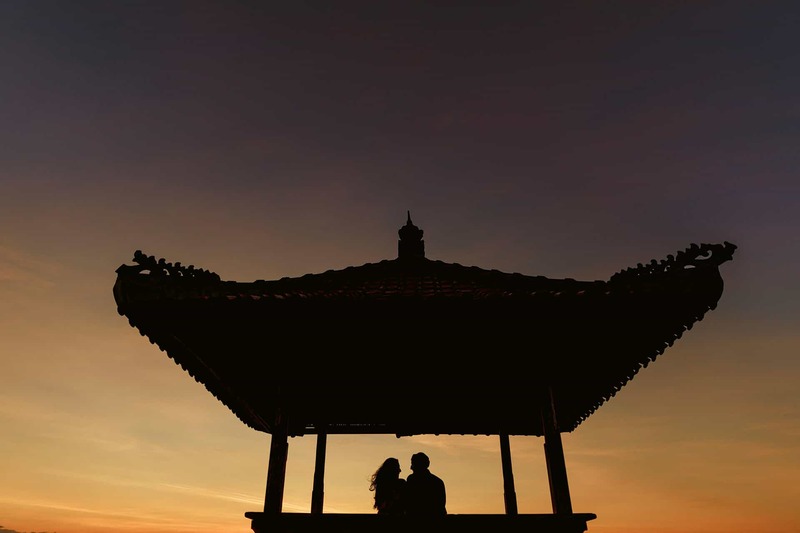 I was so excited when Balraj and Amrita first contacted me about being their wedding photographer in Bali. 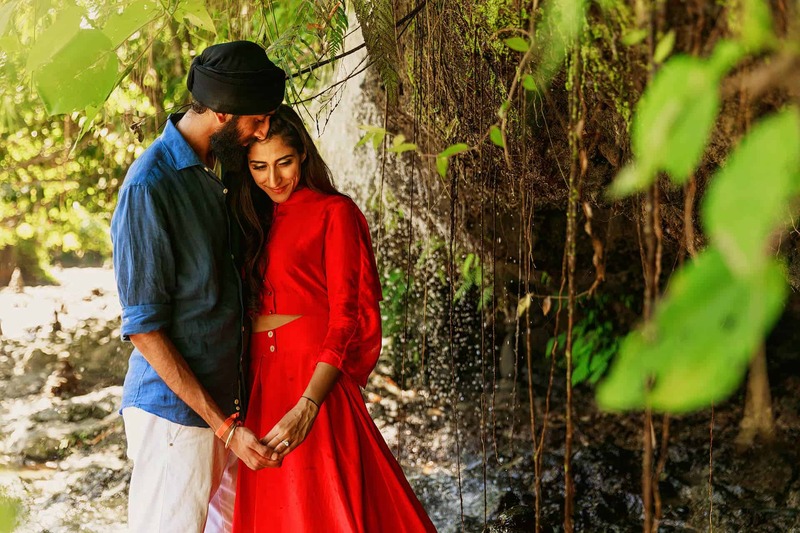 As soon as Balraj enquired I replied within minutes from his email landing in my inbox, straight after we spoke on the phone for quite sometime, and I think we both felt like it was meant to be, and Balraj booked me the following morning. I honestly can’t believe how lucky I am to be able to travel the world taking photo’s at weddings, and Bali, was just a dream wedding destination. 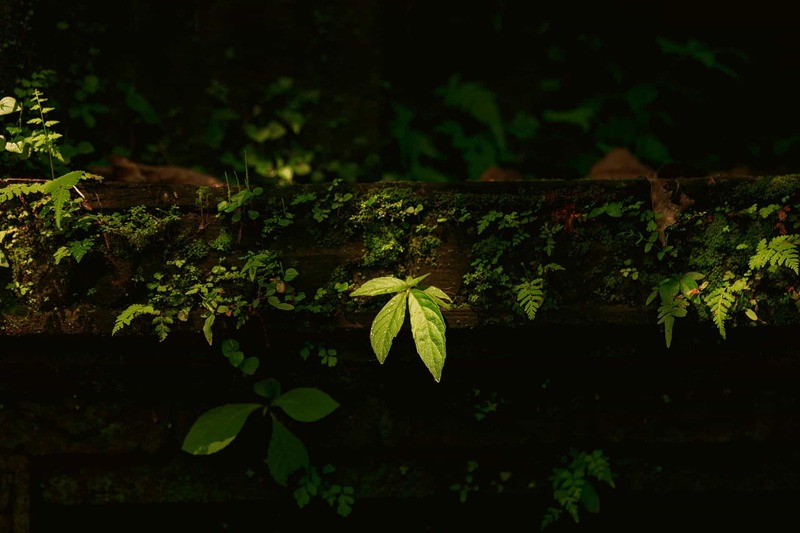 I spent 4 days with Balraj and Amrita, so creating a single blog post was just going to be impossible, so i’ve split them over two. 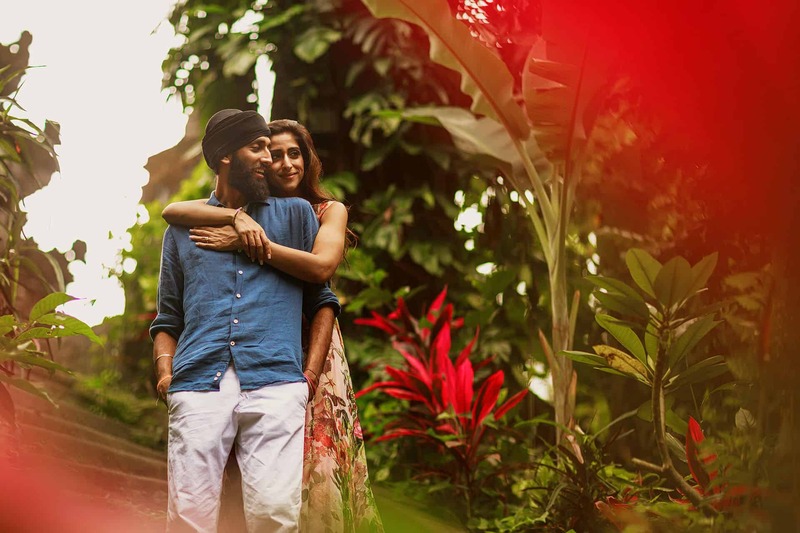 Here’s part one, Amrita and Balraj’s pre-wedding shoot in Bali. We met the day after I landed early in the morning, and witnessed an incredible sunrise at the hotel we were staying at Conrad Bali in Nusa Dua. We spent some time on the hotel grounds taking photo’s before making our way to Ubud. 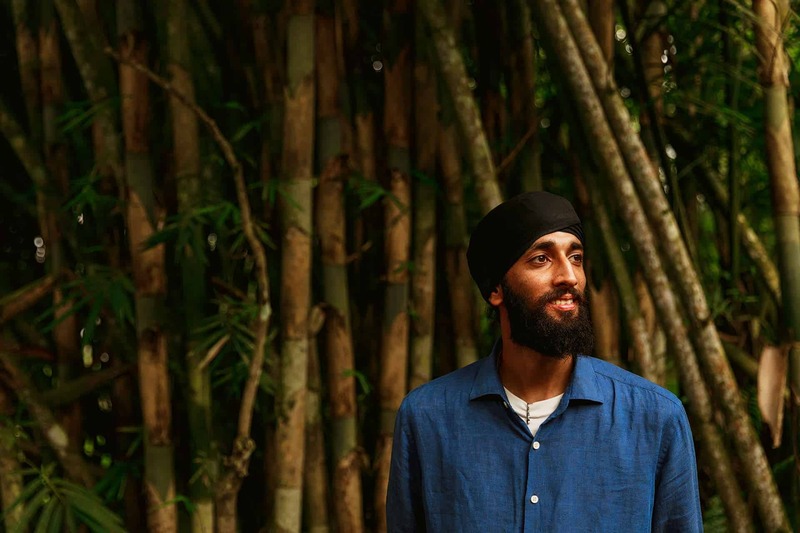 We spent the pretty much the whole day in Ubud, Amrita had been before, but Balraj had not, so we roamed like tourists taking in the beauty, creating portraits and getting to know each other along the way. 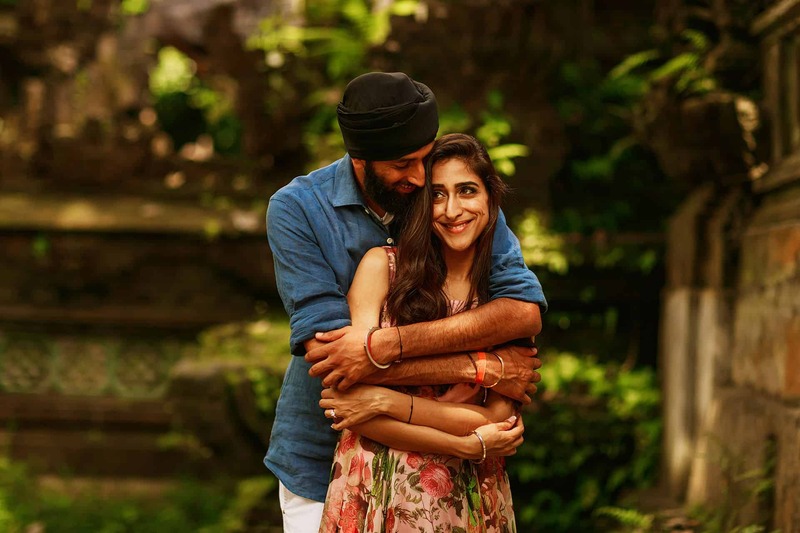 From the moment I met Amrita and Balraj in Bali, they made me feel so welcome, they are so kind, funny and have the biggest hearts. 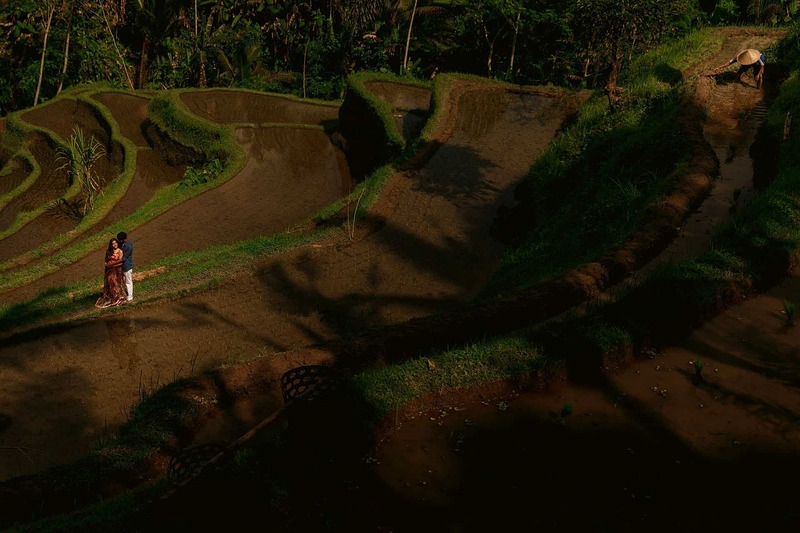 When we go to Ubud, we started at the Tegalaland Rice Terrace, we got their quite early, so luckily it wasn’t busy with tourists, we walked most of the rice fields, stopping along the way to make photo’s, the scenery was breathtaking, I could’ve spent all day there. 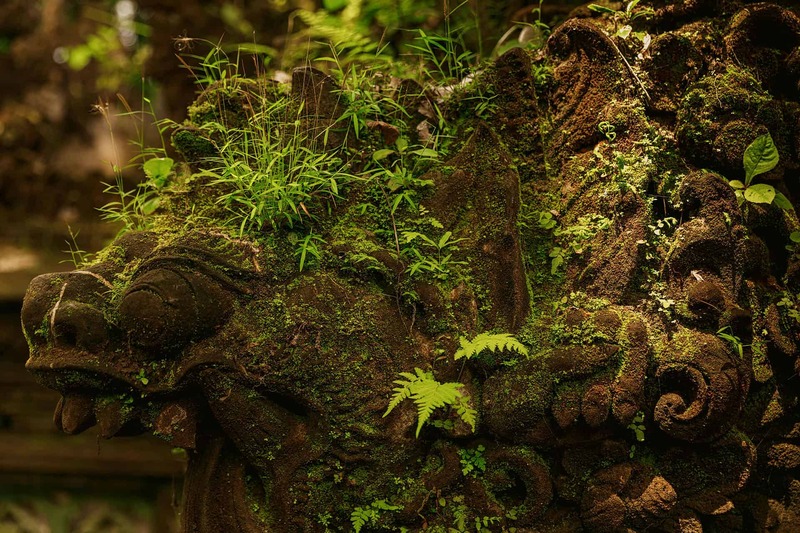 Following the rice fields, we went to some temple’s nearby, and there after a waterfall too. In between meandering through rice fields, visiting temple’s and a waterfall, we stopped for coffee, and I thought great, Amrita then told me we’re going to try Luwak coffee. I have to admit, I had never heard of this coffee before, the civet cat or the process into making it. Google it, if like myself you haven’t heard of Luwak coffee. Balraj and myself, both hesitant, tried it for the first time, it was an interesting experience and one I won’t forget, thats for sure. 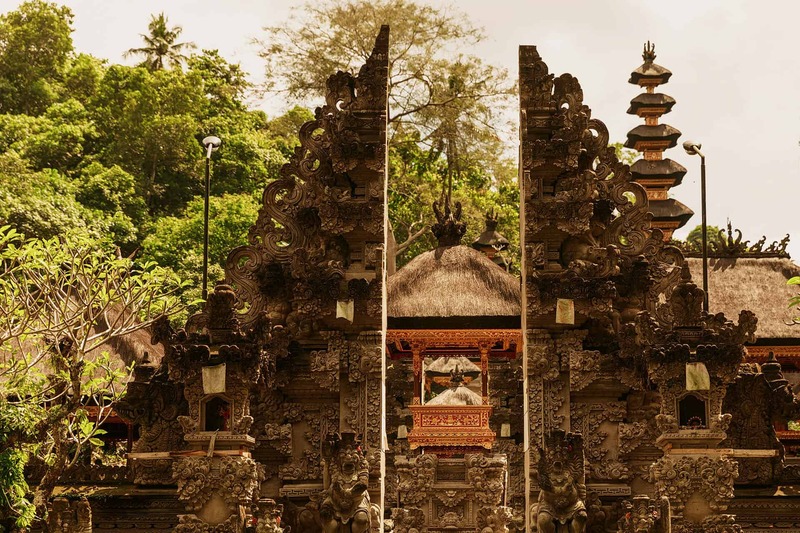 Even though we were only there for a day, Ubud is absolutely stunning with amazing rice terraces and old temples, you can see why it is Bali’s cultural heart. 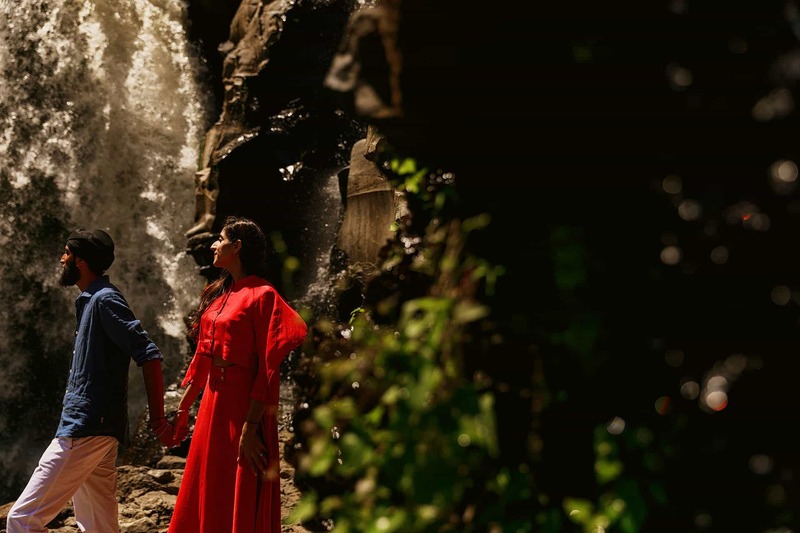 We were absolutely spoilt for choice with amazing locations to choose from for Amrita and Balraj’s pre-wedding shoot, it was the perfect start to photographing a wedding in Bali. 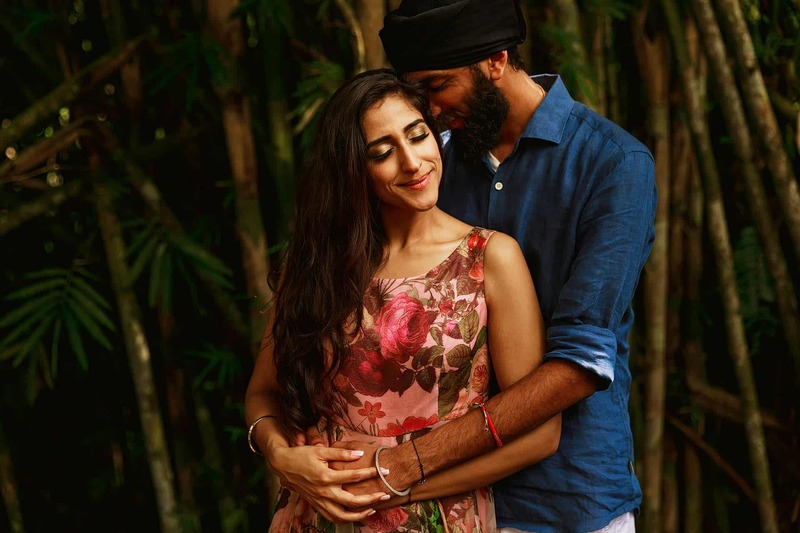 I could go on and on, so I think i’ll stop and show you some of my favourite highlights from Amrita and Balraj’s pre-wedding shoot in Ubud, Bali. 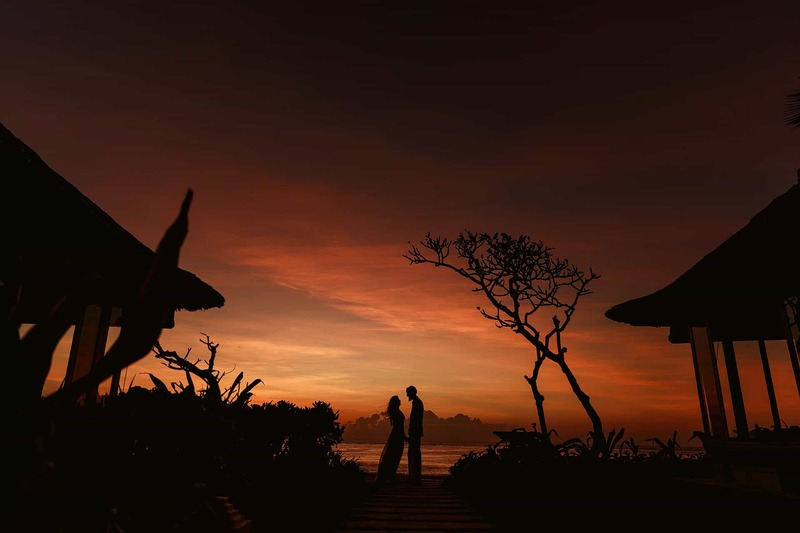 If you want to check out Amrita & Balraj’s wedding in Nusa Dua, Bali, click here. 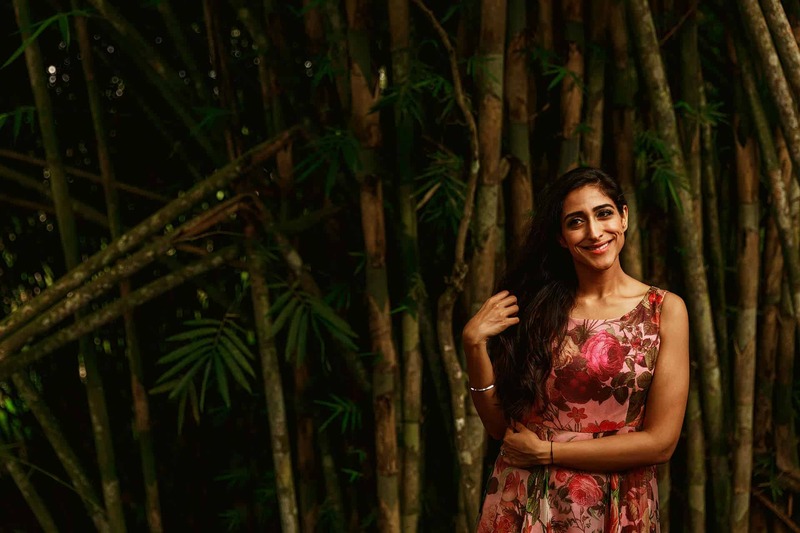 I had an amazing time photographing Amrita & Balraj’s pre-wedding shoot in Bali, it was the perfect setting for any Wedding Ceremony. 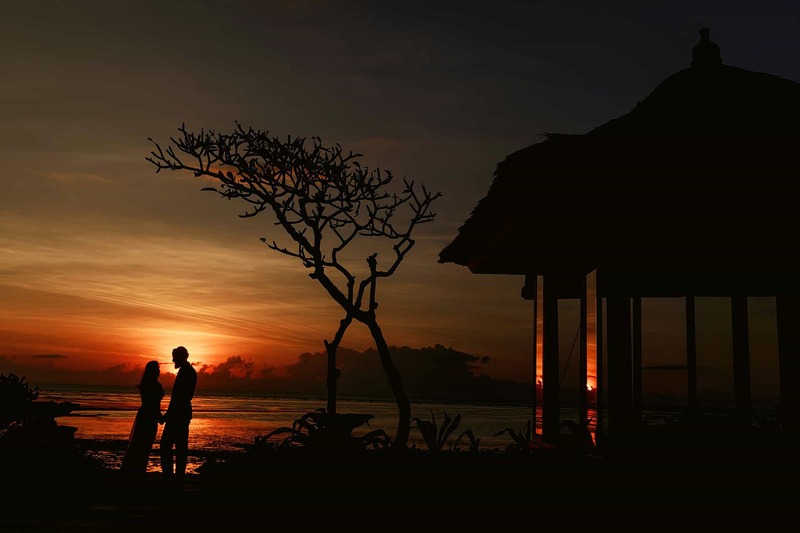 If you’re planning on having a wedding in Bali, or anywhere else in the world, then please get in touch. I’d love to hear all about it and have the opportunity to be your wedding photographer. Incredible photos, bro! 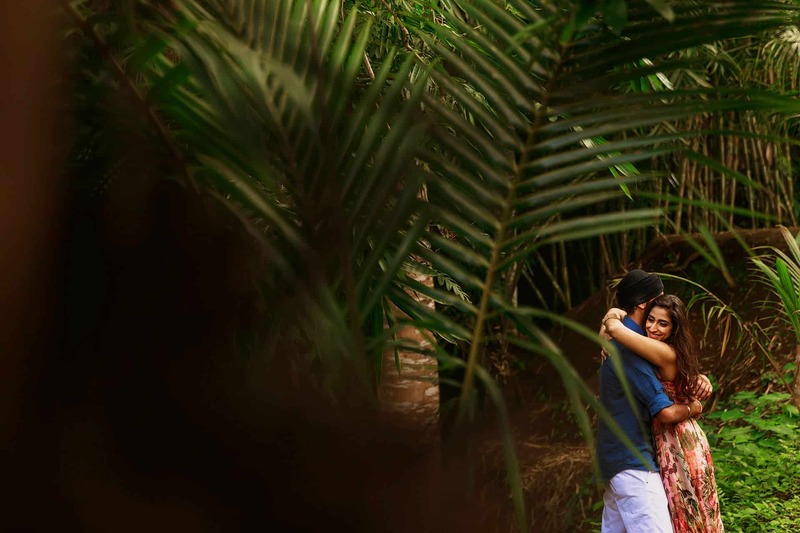 What an amazing location to have a pre-wed shoot! Stunning set Rahul. Opening epic shot followed by that that belting 2nd. 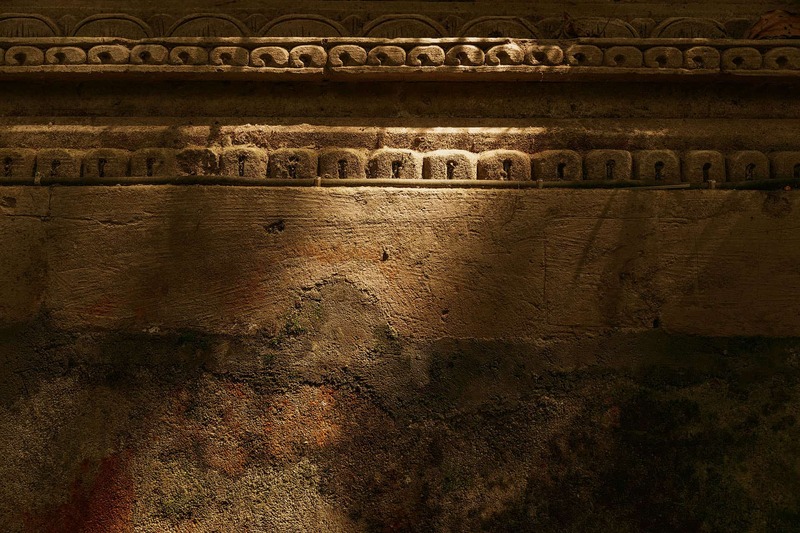 Love the guy filling the top corner of the frame – great compositions all the way! Really great set of portraits Rahul, and so nice to be able to build that connection with the couple.